School is in session, and students everywhere are hard at work! All of that studying and homework can definitely take its toll on your stock of school supplies, and it’s no surprise that you may need to replenish your kid’s collection of pencils, pens, and paper now and again. But why replenish with a plain old notebook when you can spookify it in the spirit of Hotel Transylvania 2 for the Halloween season?! 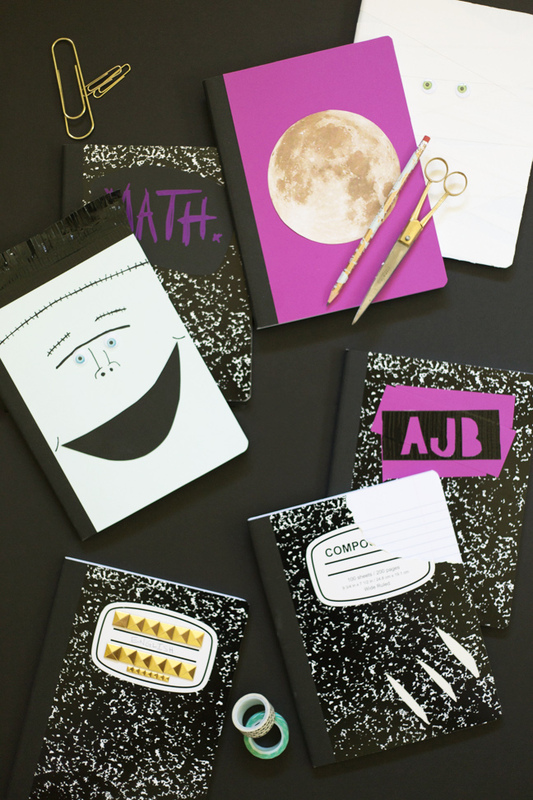 Grab a few extra supplies that you probably already have around the house and help your child personalize a notebook that they’ll love cracking open. Mummify it. 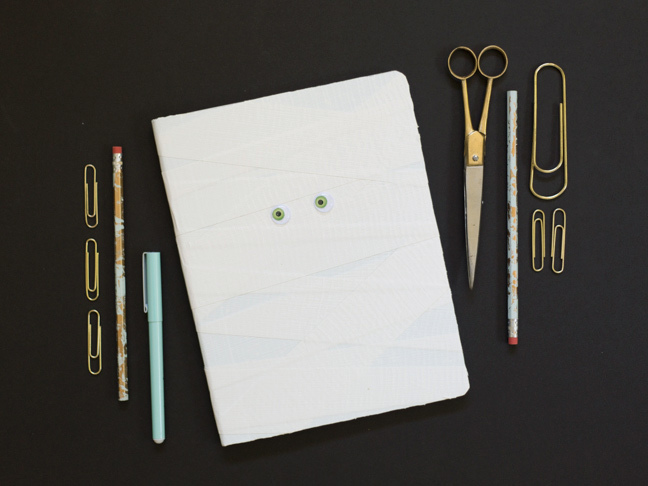 A little white duct tape and some googly eyes are all you need to make a notebook into a friendly little version of Murray the mummy. 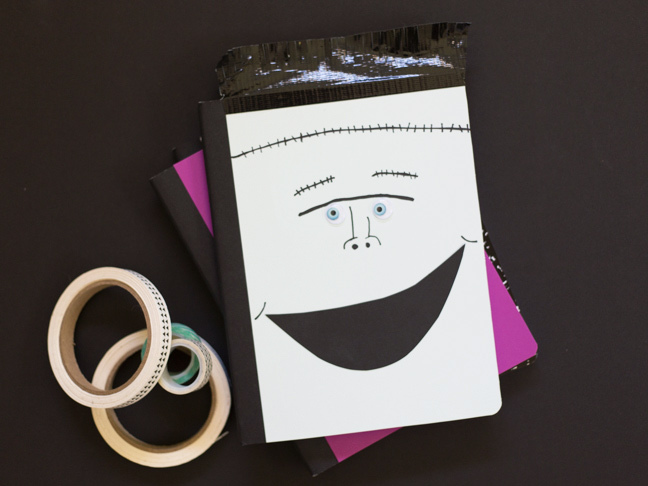 Crisscross the tape in all directions on the front, wrap it around to the back, add the eyes, and voila: A not-so-scary study buddy. Scratch Out a Subject. 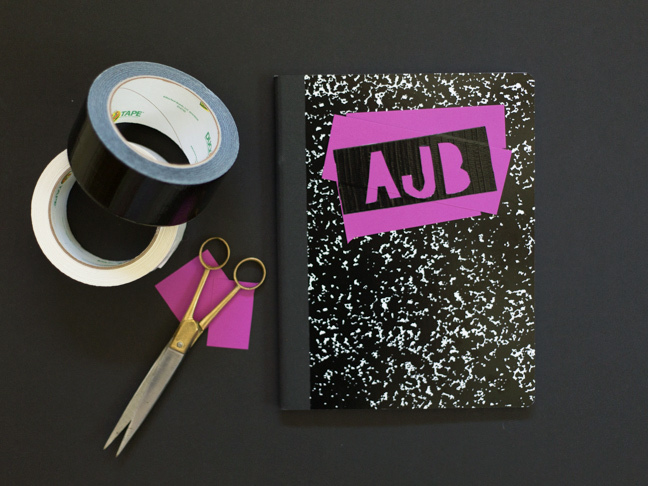 Instead of writing the subject on the assigned lines (boooooo-rinnng), cover the front with some black paper or vinyl and use a paint pen or gel pen to write in your subject. Might I suggest Drac’s favorite color in a frightening font? It’ll scare away the copycats! Make Studded Patterns. 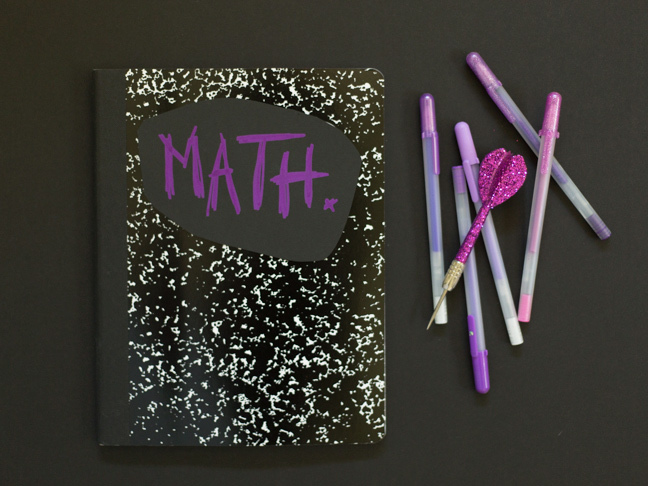 Cram some candy corn in your mouth and stick some craft-store studs to the front of your child’s notebook. Be creative! Make studded patterns, metallic words, or a border around the edge of the book to make it sparkle like Mavis’ fangs in the moonlight. Add Some Character. 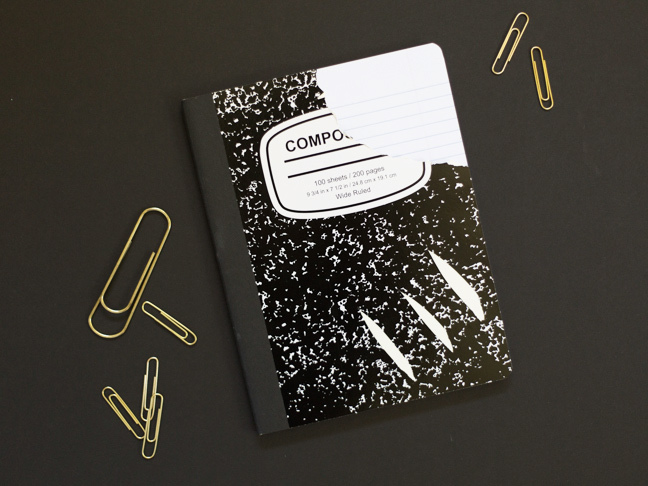 As it turns out, notebooks are the perfect canvas for your favorite unusual character—like Frank, before his body gets attached. A few drawn-on stitches with a Sharpie, some black duct tape hair, and googly eyes make for a great smiling face to greet you when it’s time to work. Celebrate the Full Moon. 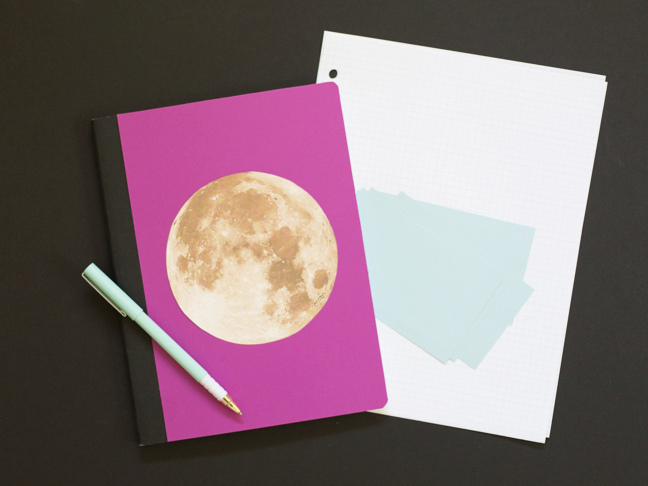 Cover the front of a notebook with bold construction paper or cardstock. Print out a photo of Wanda’s favorite eye candy and add it over the top of the paper. Now, resist the urge to howl! Monogram it. 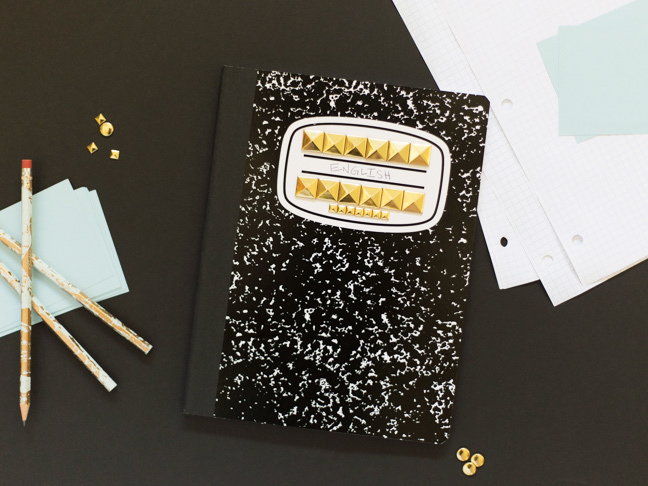 Adding a monogram is a perfect way to keep track of your kids’ notebooks. Cut out their initials from duct tape using scissors or a craft knife and plaster it on the front cover. Back it with a little bit of colored paper for extra credit—maybe some yellow and green in honor of Dennis? Fake a Werewolf Attack. There’s nothing worse than when a dog eats your homework, am I right? But what about if one of Wayne’s wild werewolf pups ate your notebook? 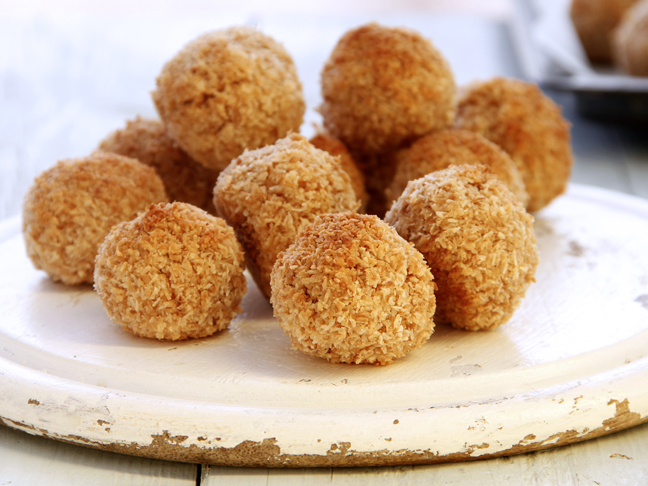 Fake it by taking a chomp out of the top corner with some scissors, and add a few claw scratches for good measure.